April 21st * Bring-a-Friend / Note Burning - Forestburg U.M.C. 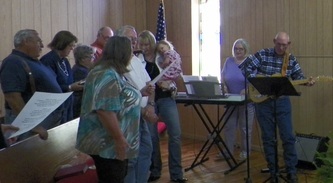 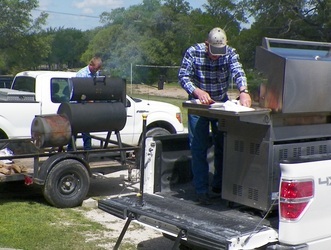 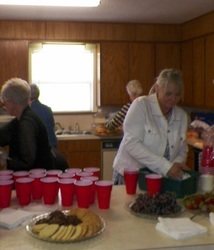 What a festive day we enjoyed on Bring-a-Friend Sunday - April 21st!! 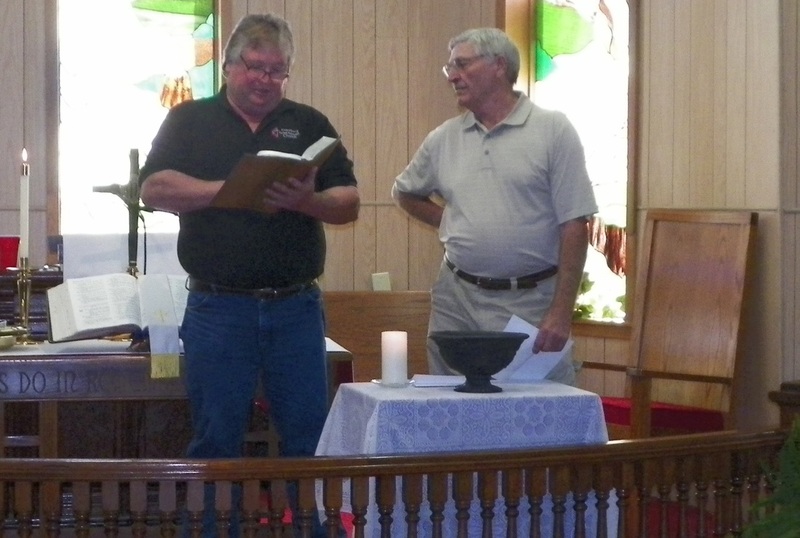 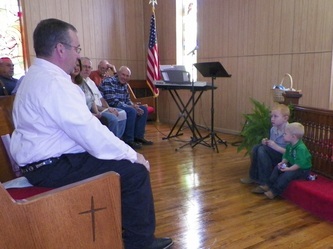 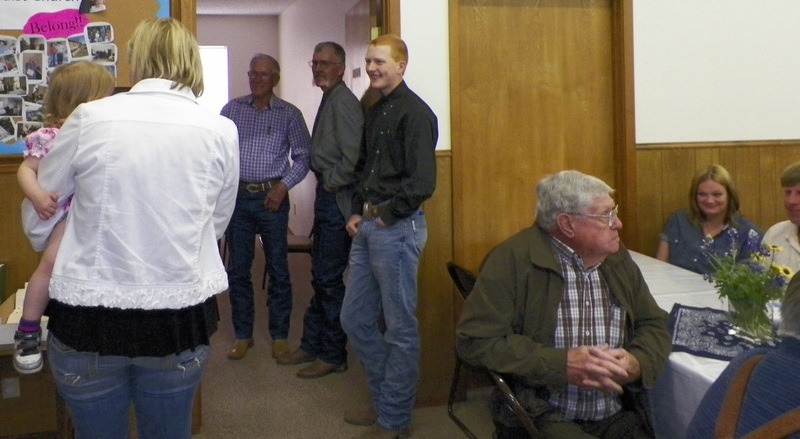 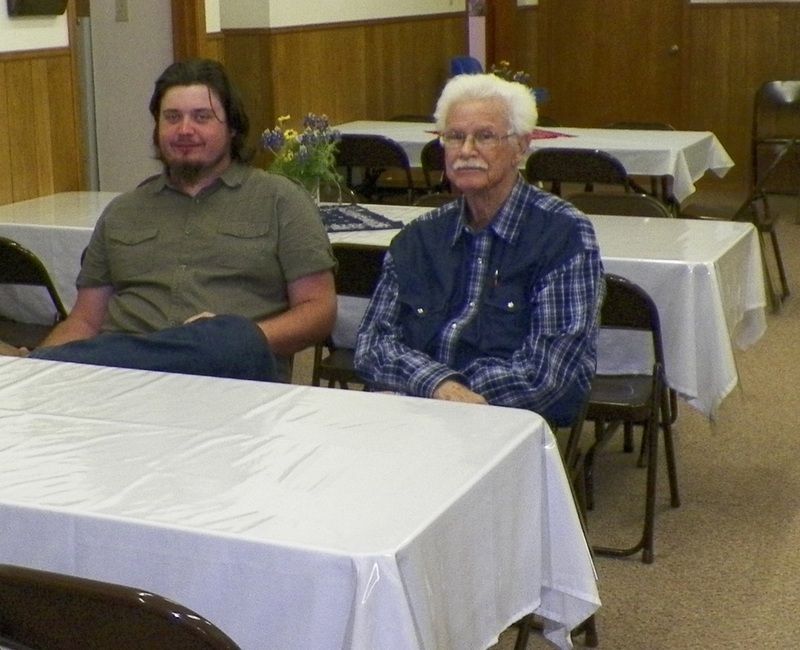 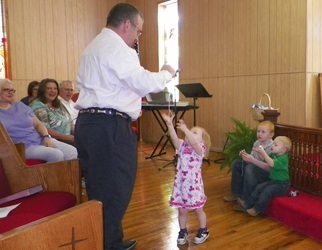 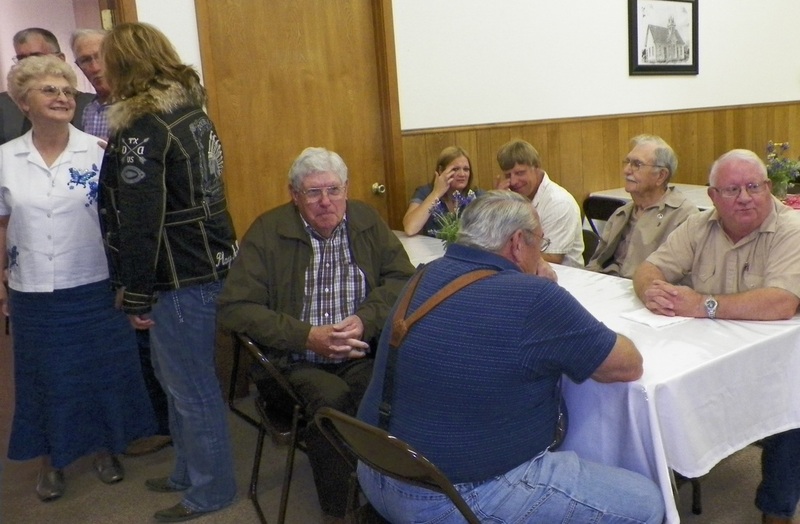 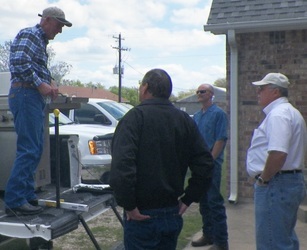 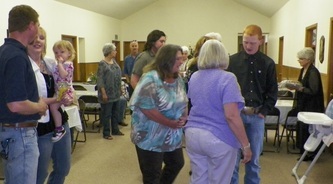 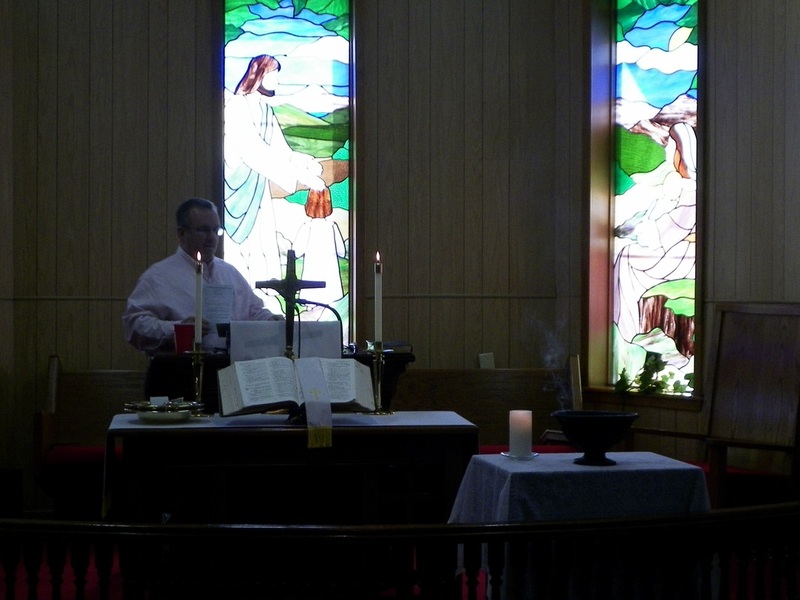 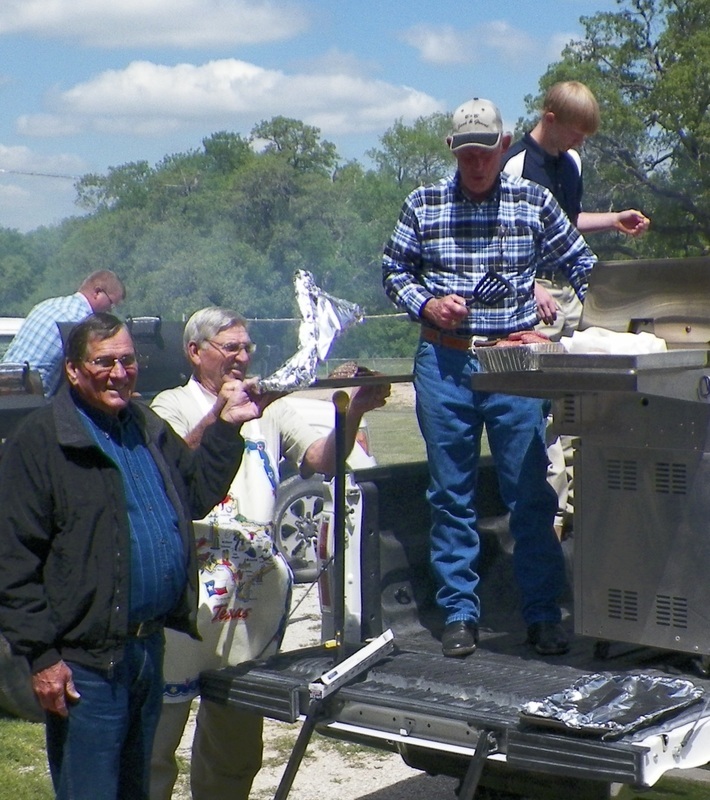 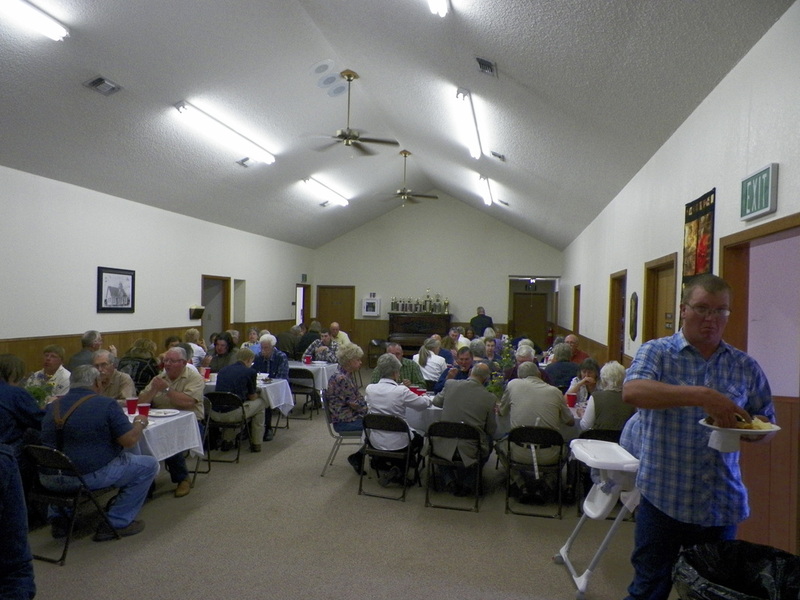 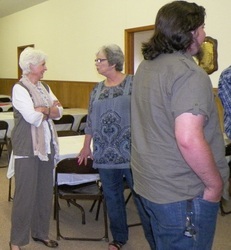 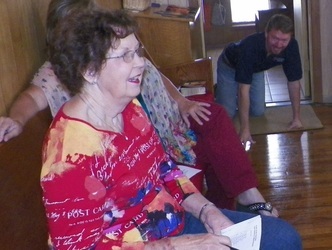 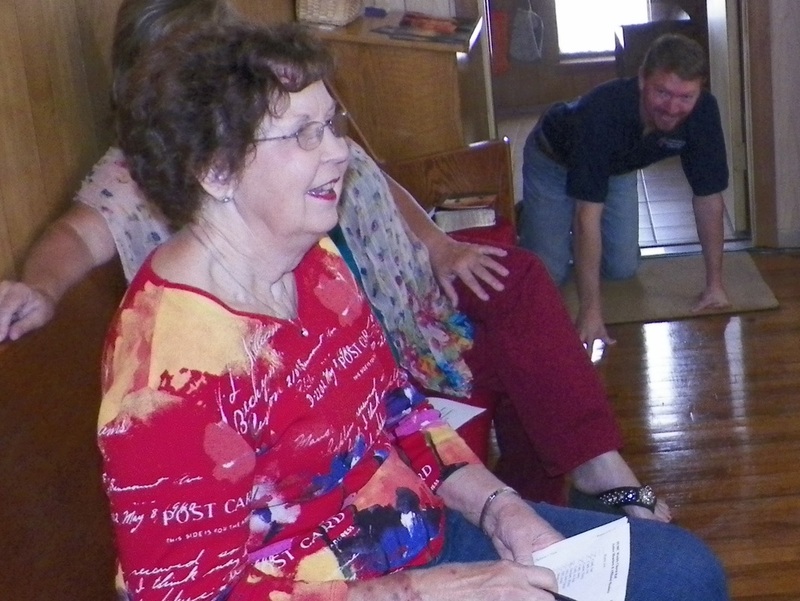 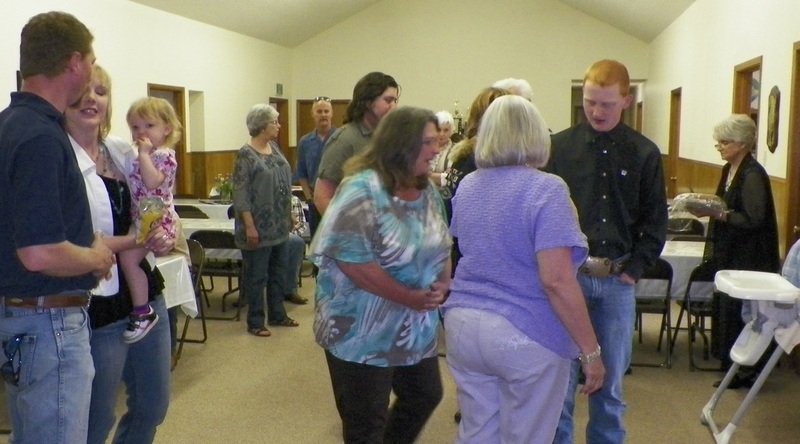 Forestburg United Methodist Church celebrated paying off the church parsonage in THREE years with family, friends, the District Superintendent (Dr. Marvin Guier) and his wife. 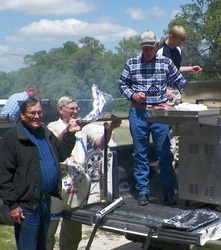 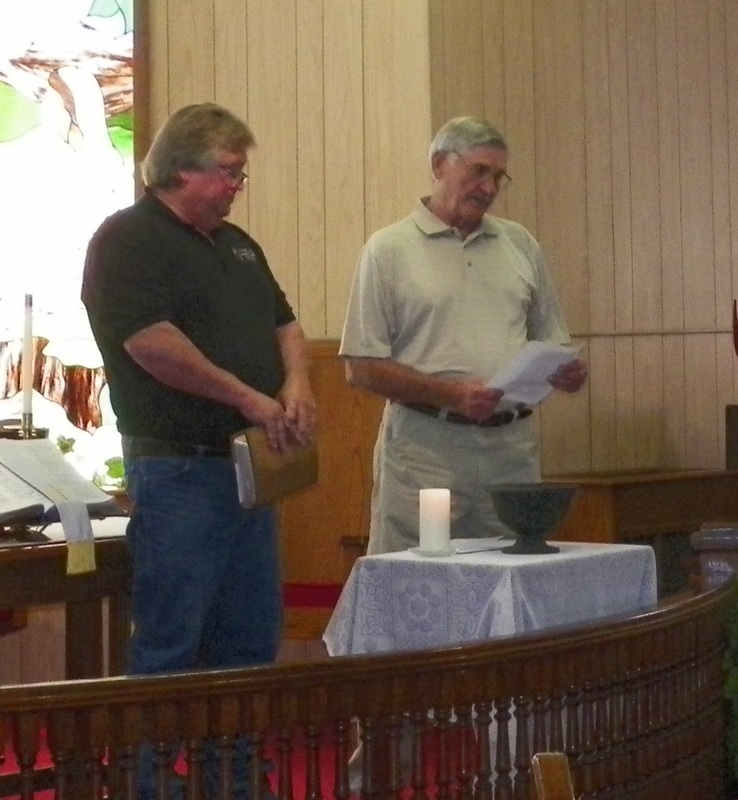 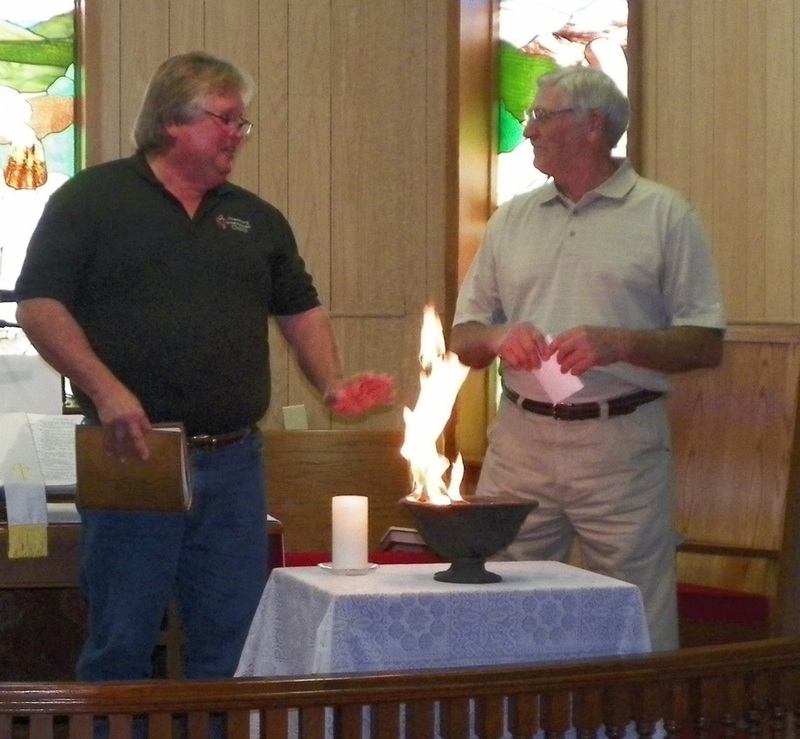 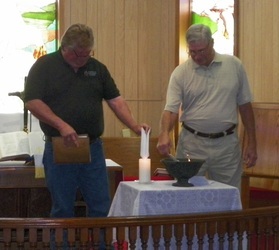 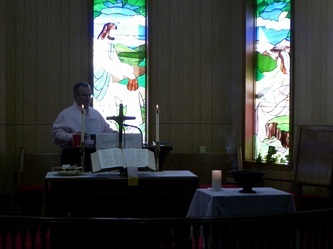 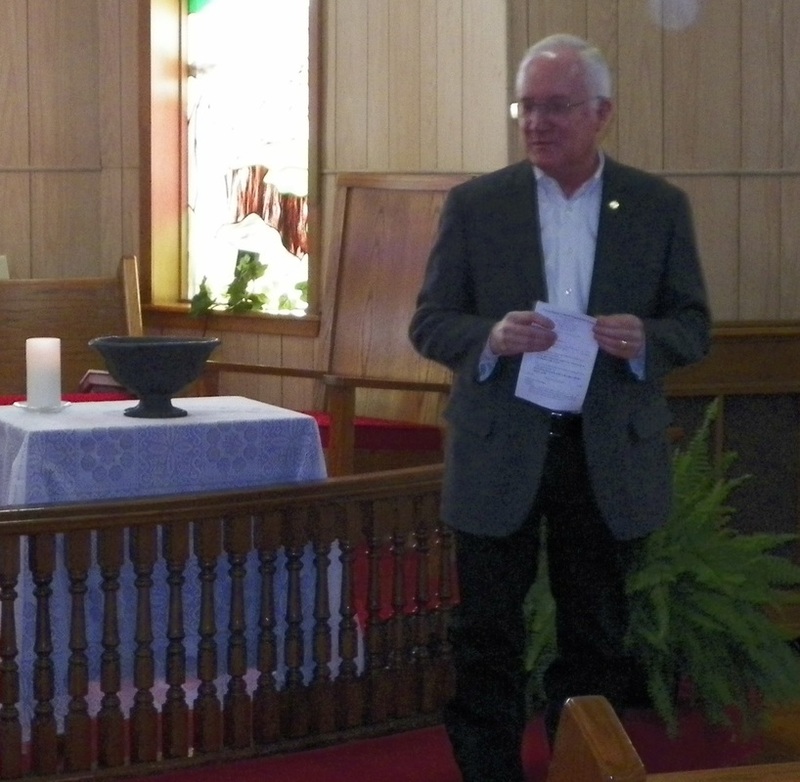 Raymon Wood (Ad Council Chair - right), and Dan Gentry (Chair of Trustees and the Building Committee - left) burnt the bank note on the three year old parsonage, during the worship service. 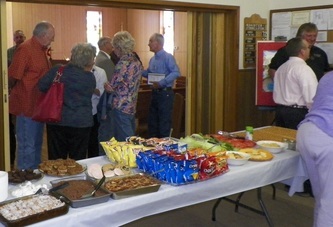 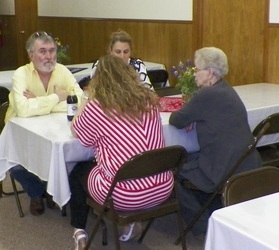 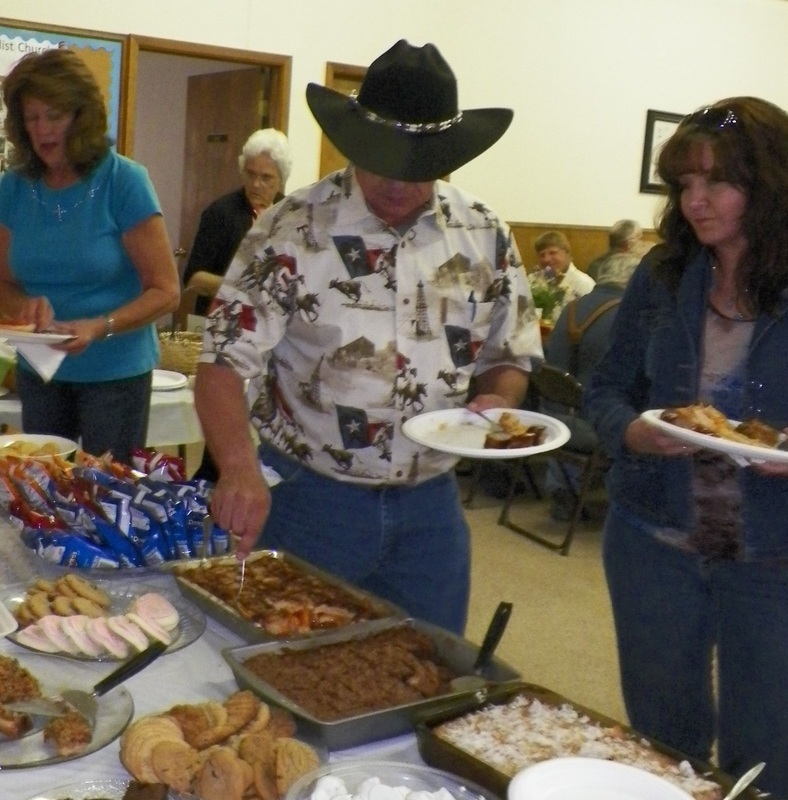 Then everyone enjoyed a hamburger lunch after service.